A microchip can be a miracle in returning your lost pet. The microchip is a small, bioglass computer chip about the size of a grain of rice. It carries a unique identification number that connects to your pet and your contact information. In the event your pet is lost, any veterinary hospital or animal shelter can scan your pet to retrieve the microchip number, and can look up your contact information in your microchip's database. This is why it is vitally important to keep the contact information associated with your pet's microchip up to date. 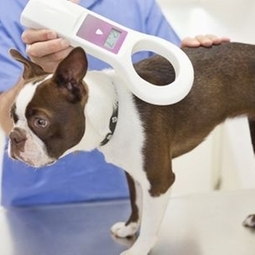 Your pet can be microchipped at any time. However, it is always offered at the time of surgery since administration is even easier while your pet is sedated. The cost is $35.00 while sedated, or $40.00 regularly.